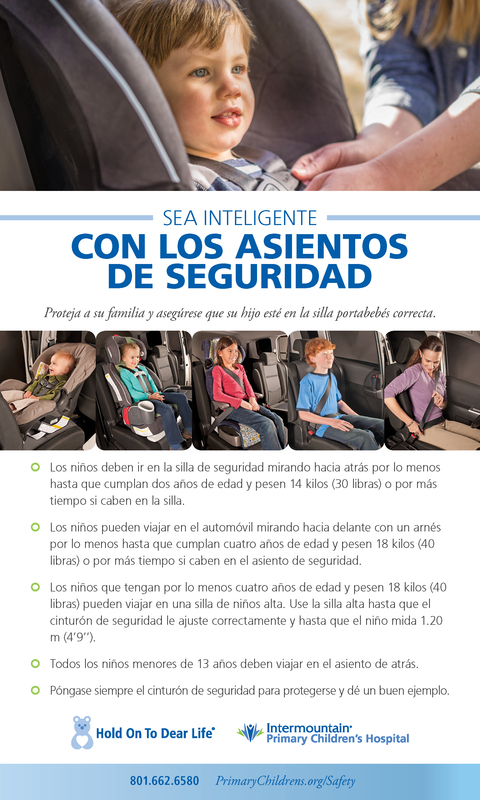 For Child Passenger Safety Training click here. 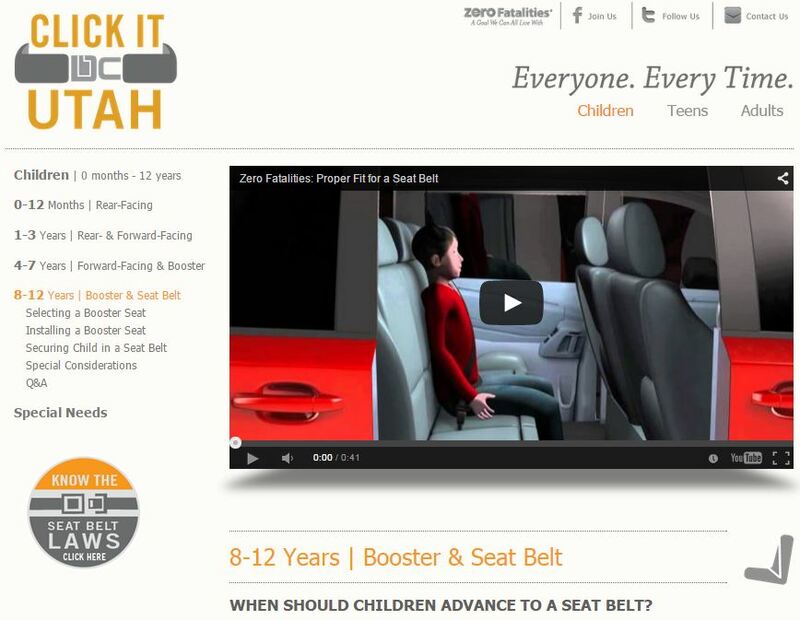 Utah’s Seat Belt Law: ALL passengers must wear seat belts in all seating positions and children up to age 8 must be properly restrained in a car seat or booster seat. 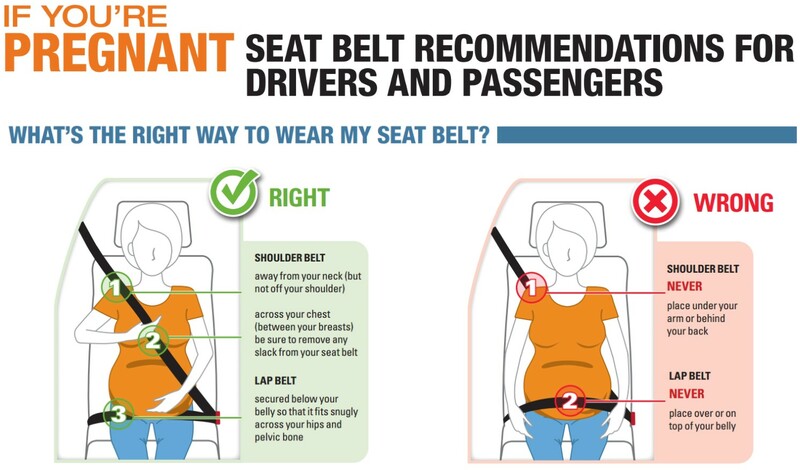 Remember, seat belts save lives. If you or anyone in your vehicle aren’t properly restrained, you can be issued a $45 citation. NOTE: The time to transition your child out of a booster seat and into a seat belt usually comes when the child is between 8 and 12 years old. 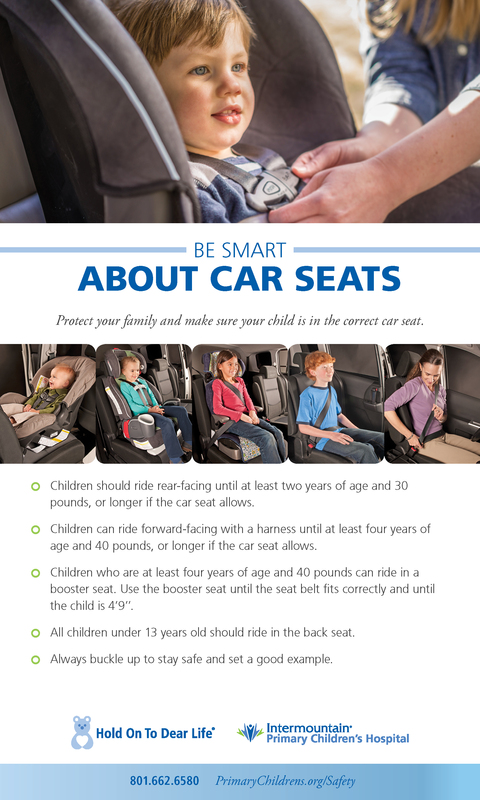 Keep your children in booster seats until they outgrow the size limits of the booster seats or are big enough to fit properly in seat belts. 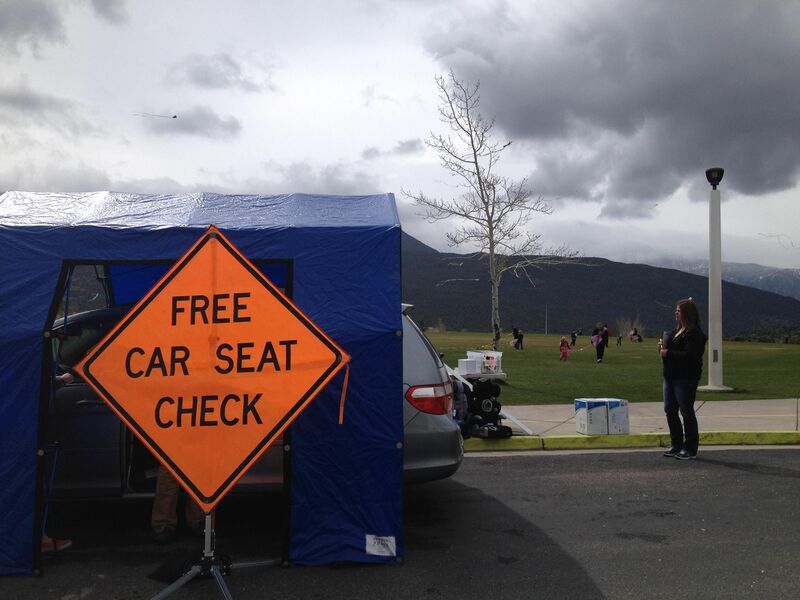 And remember, children under 13 should ride in the back seat for maximum safety!